All of us are utterly busy and stressed about copious tensions both in our personal as well as professional front. Every evening when all of us return home after a hectic day, a dose of entertainment is just enough to titillate us as well as zing up our lives. Television is a mode that provides this dosage of entertainment. It has indeed become an essential part of life as it not just entertains us but also keeps us updated about the ongoing scenarios. With the arrival of technology, LED Televisions have replaced the conventional TV’s. LED TV offers excellent picture quality, better contrast, precise color and are energy efficient. They are in vogue nowadays by larger masses. The demand of LED TV is escalating day by day and thus a lot of consumer electronics companies are manufacturing it. Therefore, there are lots of options for the people who intent to buy LED televisions. Our well-researched list will surely assist you in choosing the 11 best brand of LED TV in India in 2019 on which you can rely. VU pronounced as ‘view’ is a newly established brand in the television market. It was established in 2006 and since then it has gratified a lot of consumers. The LED TV of the brand is of finest quality amid affordable rates. Its development is inspired with eccentric technology. It proffers diverse sizes of LED starting from 22” to colossal 75” at reasonable rate ranging as low as Rs 8999. It offers LED TV, Full HD TV, 3D smart 4K, Flat Plasma, Ultra HD, HD Ready, Full HD and Basic LED TV’s. The brand provides 1-year warranty in all its products. Their televisions can be procured from Flipkart. Intex is another renowned brand that offers LED TV’s of superior picture quality. The TV’s of the brand are energy efficient and are within your means. They offer several types of HD, Full HD and Smart TV’s. Some its models support gaming consoles, DVD players and other gadgets. Their most accepted models are LED-4310 FHD of 43” and LED-3210 of 32”. There is plethora of ranges of Intex television from which one can select his or her TV on the basis of his or her requirement. The TVs can be bought from offline shops or from any online store. The USP of the brand is that its LED televisions come with 1-year warranty at reasonable rate starting from Rs 10,000. Toshiba is one of the oldest electronics company that is based in Japan. It began its operation in India in 2006 and since then it has witnessed enormous increase in its market. It presents outstanding picture as well as sound quality. Its LED TV possess oodles of features like cevo 4K, active motion rate, 16 Bit video processing, active backlight control and narrow bezel. It has recently launched Bollywood Series, Cricket TV and Ultra HD 4K. Toshiba is a brand that is trusted by a legion of patrons and offers affordable rates of TV starting from Rs 13,000. Onida is an indigenous electronics company that was launched in 1981. It has vivid models under categories like Full HD, HD and smart TV proffering excellent sound quality as well as incredible picture quality. Some of its recently launched TV’s are Excite, Superb, Cristal, Rave, Rockstarz and Intelli Smart. The models come in different sizes and one can choose according to his or her needs. Its most treasured model is LEO40AFWIN, which is a smart 42” TV that has copious of features and supports various apps. The price range of its models begins from Rs 10,800. Panasonic is another Japanese company that offers stylish models. The models are packed with latest technology and are known for their firm performance. Its models are instilled with features like IPD LED, narrow bezel, super bright, life+screen, voice guidance, swipe and share with remote as well as USB sharing. It manufactures TV in two categories- LED LCD TV and 3D TV. The models are reasonably priced starting from Rs 10,200. Micromax is an Indian budget brand that outperforms both in smartphone as well as LED TV market. Micromax televisions are widely bought by populace due to its low costs. It was launched in 2000 and since then it has secured a decent position in the market. Its LED models are packed with features like SRS audio, full HD picture quality, zero dots LED panel, ultra low power consumption, digital sound with home theatre effect and built in wi-fi and USB. The models come in various sizes amid range starting from Rs 9,000. 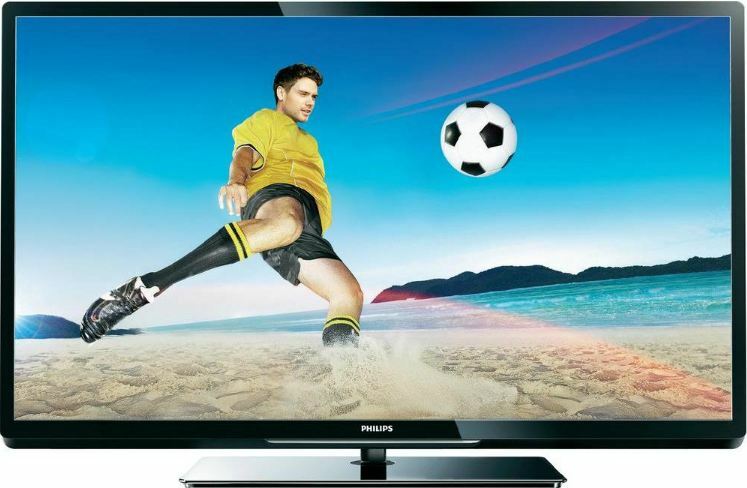 Philips is a well-known and widely acknowledged brand of LED TV in India. It is a Dutch company that was established in 1930. It is one of the most trusted brands of India. Their television comes in sequence ranging from 3000 to 8000 series. The company has different types of models packed with incredible features like Full HD, dynamic contrast, 20 W sound, pixel precise HD, digital direct broadcast, HD natural motion and built-in USB. Philips’ televisions are inexpensive with price starting from Rs 10,000. Videocon is an aboriginal brand that uses best technology of the market and is specifically designed for the Indian customers. It manufactures televisions packed with features like HDMI-CEC, HD, mega contrast ratio, 16.7 million colors and excellent sound as well as picture quality. Its latest offering to the populace is Pixus and Miraage LED TV. It has wide variety of LED models and one can easily choose on the basis of his or her preference. Videocon offers the cheapest televisions in India with price range starting from Rs 6000. LG (Life’s Good) is a South Korean multinational company that is widely acclaimed across the globe. It offers vast and vivid range of LED televisions accompanied with best quality speakers. It has different models like OLED TV, Super UHD TV, Full HD, Smart TV and UHD 4K TV. The televisions possess various features like summer heat protection, lightening protection, humid protection and USB that makes it one of the most accepted brands. Its televisions price starts from Rs 11,000. Sony is a Japanese multinational company that proffers superb picture quality. It is a primary television manufacturer of the world that is preferred by larger masses. Its models possess the best picture quality that any LED TV can possess. Bereft that the models are packed with other superior features such as Full HD, dynamic contrast and comes with built in woofers and wifi. Some of its latest LED models are X series, W800B, W700B and W600B. The Sony Bravia is one of the best LED televisions that offers finest picture quality and is equipped with latest technology. It is a brand that is cherished by elite populace. The price of Sony’s televisions starts from Rs 12,000. Samsung is a pioneer brand that is leading the LED television market. It has different categories of TV like SUHD TV, HD TV and Full HD. Some of the features packed in its models are: high resolution, lightning protection, filtering noise, surge protection, USB connection, humidity protection and built-in wifi. It offers products of superior quality along with reasonable rate. It provides 1-year or 2-years warranty in all its products. In India, there are lot of Samsung LED TV service center across the country. The price of Samsung’s LED televisions starts from Rs 11,000. LED televisions are the new generation of television offering marvelous picture as well as sound quality. With advancements in technology, the LED TV comes packed with several features. There is a wide range of televisions available in the market categorized on the basis of their size and picture quality. LED TVs are manufactured by oodles of brand. When you intent to buy a LED TV, first of all decide your requirements and budget, research about models (price, features, warranty) and then procure the one that suits your need. Sony is the Best Brand of LED TV in the market. Ridaex smart android TV is creating sensation in digital world now a days. After checking reviews in Quora i came to know that it has got all valid points to be among “10 Best 4K TVs That You Can Buy In India In 2018”. Hi, I have a shop of electronics item actually before some days I was thinking which television brand is best to selling and which brand customers trusted.